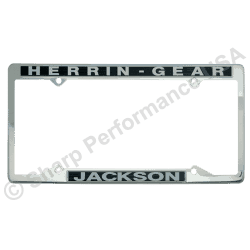 Stainless Steel License Plate Frame in Gun Metal Black Plating Finish. Custom stamped & color filled custom painted text. 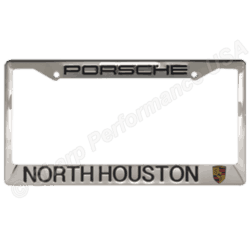 Our stainless steel license plate frames are by far the best metal license plate frame on the market today. Available with either four holes or two holes. 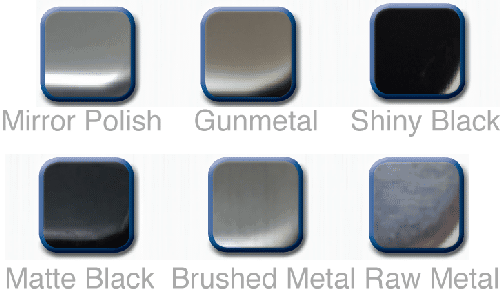 Our gun metal plating or black plating is a similar look to black chrome license plate frame, only nicer!